Yes, they have a book for that. What is in this book for your manufacturing shop? 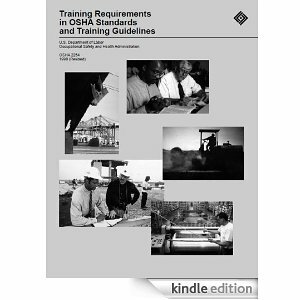 Keep in mind, this is just OSHA training for general industry; EPA is another topic for another day. Three primary criteria for selecting bar steels are 1) suitability for end use, 2) suitability for manufacturing process, 3) economical delivery of the requirements. Shape can be an important selection factor. Suitability for end use includes appropriate mechanical properties, physical properties and chemical compatibility. Mechanical properties can include hardness, tensile and yield strength, ductility as measured by % elongation or % reduction in area, and / or impact properties. Mechanical properties can be achieved by chemical composition, cold work, or heat treatment. Note: properties need to match the environmental conditions of the intended end use… Physical properties that are often considered include magnetic properties for solenoid, actuator, or electronic applications. Process path of steelmaking can play an important role in determining these properties. Suitability for manufacturing requires at least a cursory understanding of the intended process path. Will there be extensive stock removal by machining? Welding, brazing or other means of bonding? Heat treatment? Will the equipment used to machine require tight dimensional tolerances or straightness? Will the material be upset or cold worked? Will the material be cold worked (crimped, swaged, planished or staked) after machining? Bismuth additives can prevent achievement of bond strength in brazed joints unless special techniques and materials are employed. Various chemical constituents can have an effect on the cold work response of steel. These too can be determined by the melting and thermomechinical history of the steel before it arrives at your shop. Economical delivery of requirements means choosing a materal that permits the creation of conforming parts that fully meet the requirements for end use and manufacturability at a total lowest cost. There are many ways to meet any particular set of requirements for steel in most uses. Chemistry, cold work, heat treatment, as well as design details can all be criteria used to select one material over another. Minimizing costs is clearly important, but most important is assuring that all of the “must have” properties (strength, hardness, surface finish, typically) needed in the finished product are delivered. Costs of manufacturing can make up a large fraction of the final products cost. For some parts, the cost of manufacturing and processing can exceed the cost of the material. Choosing the lowest cost process path that will assure required properties often requires steel materials that are priced above the cheapest available. This is because free machining additives, or cold finishing processes can reduce cost to obtain desired properties or product attributes when compared to those needed to get hot rolled product up to the desired levels of performance. Bottom line: Buyers may want to get the cheapest price per pound of steel purchased; Savvy buyers want to buy the steel that results in the lowest cost per finished part- assuring that costs are minimized for the total cost of production of their product. Understanding the role of steel making and finishing processes can help the buyer optimize their material selection process. Photo courtesy of PMPA Member Corey Steel. The weldability of steels is influenced primarily by the carbon content. At higher carbon levels, steels may need either pre- or post- weld heat treatment in order to prevent stress build up and weld cracking. Generally speaking, if the Carbon Equivalent (CE) is 0.35 or below, no pre- or post- weld thermal treatment is needed. In our experience with maintenance welding, we have found that preheating was beneficial between 0.35 and 0.55 CE. Above 0.55 CE we usually both pre- and post- weld heated to relieve stress and prevent cracking. 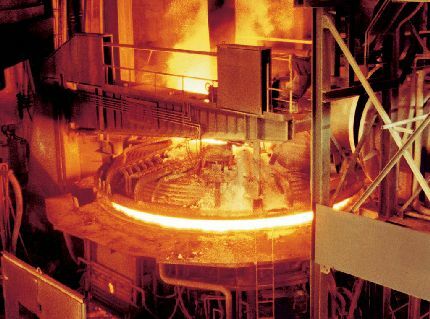 However the other elements that are contained in the steel also have an effect on the steel’s “carbon equivalence.” These additional elements can really add up in scrap fed electric arc furnace steels that now predominate in our market. Electric Arc Furnaces are predominately scrap fed. Here are two formulas for calculating Carbon Equivalents. In this formula you can see that 6 points of Manganese are approximately equal to one point of Carbon. 5 points of Chrome, Moly or Vanadium are roughly equal to a point of Carbon, while it takes about 15 points of Silicon, Nickel or Copper to get about the same effect as one point of Carbon. The GE formula for Carbon Equivalency is CE= C+(Mn/6)+(Ni/20)+(Cr/10)+(Cu/40)+(Mo/50)+(Va/10). If this is less than .35 max, you should have no need to pre or post weld thermal treat in most cases. As long as CE is no more than .35, you probably won’t need to preheat or post weld stress relieve your welded parts. above .35 CE, you may need either or both depending on section thickness and CE. * (I) added (extra parentheses) to keep (the terms) clear in (this post); no (scathing rebukes) from (math teachers) please! In this post we’ll take a look at the significance of the last 2 digits of the steel grade designation. We will be discussing carbon, not alloy grades. The first 2 digits give us an idea about whether the grade is a plain carbon or alloy steel. See our post here. So 1018 is a plain carbon grade; 1137 is a resulfurized carbon steel; 4140 is an alloy steel. So lets look at those last two digits in the 4 digit AISI/ SAE grade designation, and what they mean in the carbon grades we see in our shops. The secret to understanding real estate is location, location, location. In steel, the secret to understanding is carbon, carbon, carbon. This is .21 Carbon steel from the hull of the Titanic. Carbon is so important in understanding a steel’s characteristics, that in the North American nomenclature system, the last two digits of the grade are the average carbon content expressed as weight %. 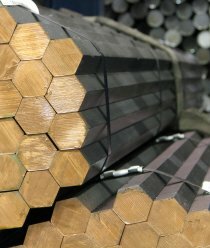 Carbon is the most important indicator or predictor of a steel’s properties and response to processing. So in that 1018 steel, 0.18 weight % carbon (on average) is implied; in 1137, 0.37 wt % carbon (on average) is implied; in 1144, the average carbon content we expect is, you guessed it, 0.44 wt.%. So what does that mean to us as machinists? Very low carbon. Grade 1008-1010. The low carbon content makes these steels low strength and very ductile. Typically used for cold heading. Cold forming. The machinist would characterize these as gummy. Chips are stringy, continuous, and soft. Low carbon. Grade 1018; 1022. Low carbon means low strength. The non alloys in this range are weldable, and all of these grades are cold formable with out the need for an anneal. Grades in this carbon range are often carburized to achieve a high surface hardness. Not a good choice for machining, difficult to get chip to break. Chips are somewhat continuous, and soft to semi-soft. Parts made from these grades tend to have low stock removal, and look like the bar that they were made from- bolts, light duty shafts, tie rods, pins. Chips are continuous and semi hard (1030), continuous and tough (1035), and continuous and start to become springy or hard (1045-1050). Small shafts, forgings, and kingpins are typical of these grades. Not usually annealed. Heavy draft (cold work) followed by a stress relief operation can get yield strengths into the 100,000 psi minimum. ASTM A 311 class B is one such designation, Stressproof (TM) is Niagara LaSalle’s trademarked name for a similar product. High carbon. Above 0.50 carbon, most of us start to describe steels as “high carbon.” Depending on the application, and carbon content, an anneal may be required for processing. My rule of thumb for carbon grades is at 0.60 and above, an anneal is required prior to cold drawing. ( For alloys, generally annealing is required at 0.40% carbon.) So a 1060 bar would be annealed prior to cold drawing. The type of anneal for these steels would be called a lamellar pearlitic anneal. It would help to develop a predominately coarse lamellar pearlitic structure in the steel. Chips are continuous and range from hard (1060) to tough (1070) to springy (1080 and above). Very high carbon. At 0.90 carbon and above, (drill rod and bearing steels) a different kind of anneal is called for. It is called spheroidize annealing, and results in a greater mean free path of ferrite between the hard carbide particles in these steels. Very high carbon steels are most machinable in the spheroidize annealed condition. Adding sulfur to carbon steels is called resulfurizing. This addition provides a way to break up the chip, thus escaping the continuous chip that we get from 10XX steels. This is why 11XX and 12XX steels are so machinable. Click here to learn how steel chemistry might have contributed to the sinking of the Titanic. Photomicrograph from JOM, 50 (1) (1998), pp. 12-18. Any type of arc welding of resulfurized steels is generally avoided. This post will give you some reasons why. Resulfurized steels are free machining steels. This includes steel grades in the 11XX and 12XX series, such as 1215, 12L14, 1117, 1137, and 1144. These steels contain sulfur and may contain lead. These two elements will create low melting temperature constituents that will cause cracks. Sulfur reduces weldability. The higher levels of sulfur make a slaggy joint. The high volume fraction of manganese sulfides also hold hydrogen. This hydrogen can then create post weld cracking. Both sulfur and lead can become a fume inhalation hazard at welding temperature. Finally, with the exception of grade 1144, resulfurized steels are generally not sold to mechanical property requirements. Welding implies mechanical property performance. We have seen 1215 welded using an inertial or friction welding process. But these welds are usually not subject to mechanical loads, merely attachment. Here’s a video of a friction weld process for truck axles from Thompson Friction Welding in the UK. Want a second opinion? 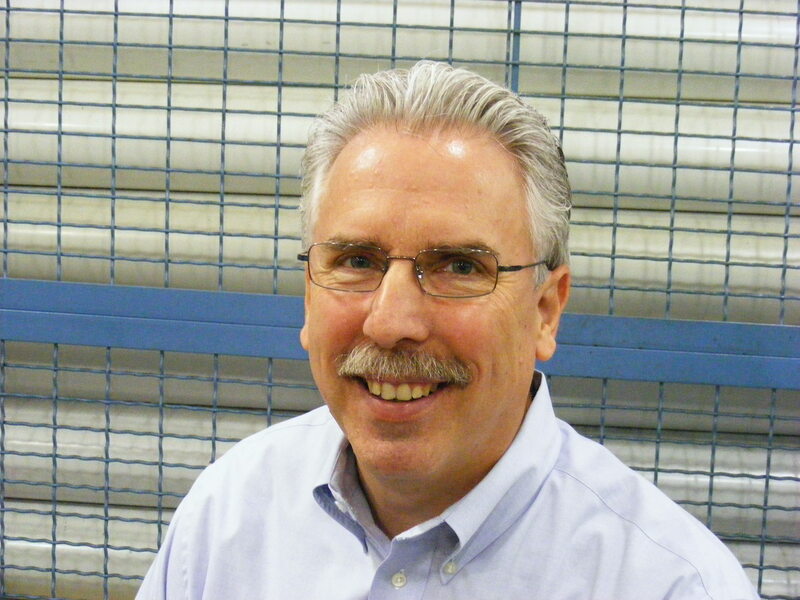 Dave Barton at Lincoln Electric hosts a column Barton’s Q&A in Welding Magazine published by Penton. The second question in this column deals with welding 12L14. Think of weldability and machinability as two sides of the material coin. You can usually win on one, but at the expense of the other. If you need to weld, a low carbon plain carbon steel is your best bet.